Whoa, What Makes This Chain of Beads Magically Float? 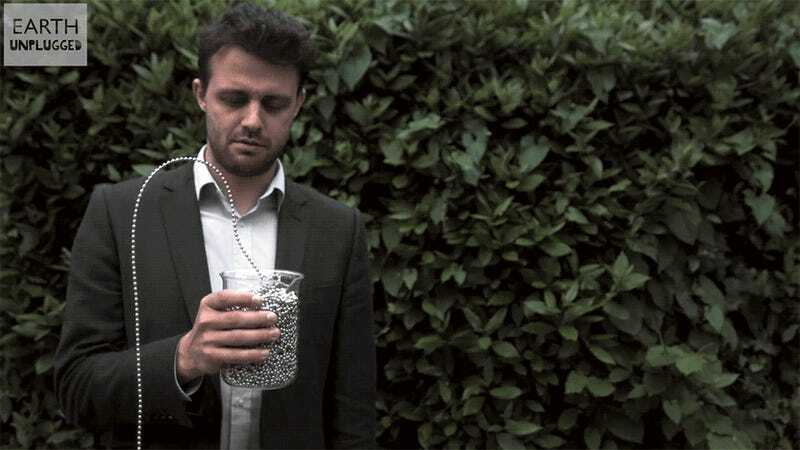 Here's a brilliant experiment you can do at home if you've got yourself a lengthy chain of metal beads, and a container big enough to hold them. You just take one end of the chain out and drop it so that it drags the rest with it, and almost immediately you'll see it rise up out of the container like it's magically defying gravity. It works even if you don't have a degree in magic, but how's that possible? The folks at BBC Earth Productions wanted to find out, so they pointed their high-speed camera at the mesmerizing effect, and got Steve Mould—who posted an earlier video of it occurring—to weigh in on what's happening.